Sigma Makeup continues to impress me over and over again. Their products keep getting better & better and I'm loving it! When it comes to professional makeup brushes, no one else compares. Sigma's Complete Kit with Brush Roll ($99) is an impressive collection of makeup brushes, in a beautiful pink case. It folds up for easy travel, and when I say this is the complete collection, I mean it's the brush set of all brush sets! See how each brush has a number? The best part about this set is that it comes with specific instructions, on which brush to use for what part of your face. For a beginner, this set does look a little mind boggling. So if you have no idea what your doing, Sigma shows you exactly what to do, to make you an instant professional makeup artist!! 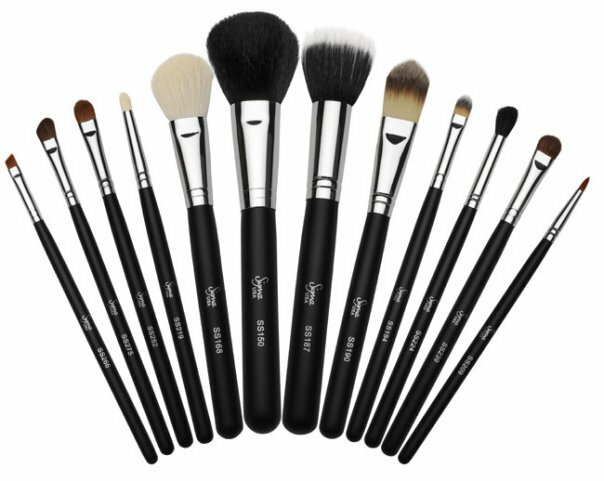 If your looking for MORE detailed instructions on how to use your brush set, Sigma has their own You tube channel, which shows videos of different makeup tutorials, so you'll never be lost or confused! Believe it or not, a while back I was using 2 brushes for all my makeup, TWO! And they were the wrong ones. When you start to read up on brushes on the Sigma site, you'll understand like I have that the brush makes all the difference. It can make or break your makup regimen. And forget throwing your brushes in a little makeup bag, this roller kit makes storage easy. It fits easily in your purse, and is compact enough to bring anywhere! i recieved product for the purpose of this review only. All opinions are my own. No monetary compensation was received for this post.